By Leah Dobrinska. Nov 8, 2017. 9:00 AM. As book collectors and rare book enthusiasts, we understand your need for clear content and simplified resources. In an effort to continue to provide you, our fabulous readership, with the best possible book buying, collecting, and reading experience, we thought we’d take some time to update you on the latest happenings here at Books Tell You Why. Wondering about a specific book collecting term? Looking for help to verify an author’s signature? 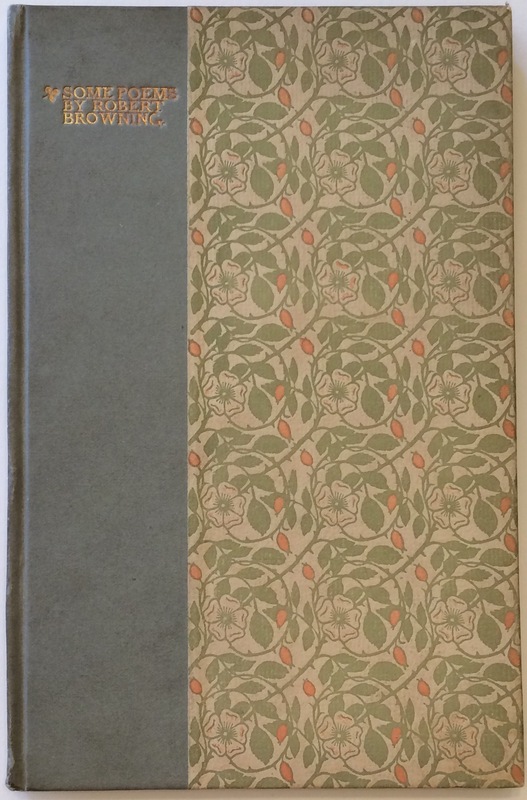 Curious about dust jackets? We’ve been able to provide insight into each of these inquiries in the past, but now, we have answers for you all in one place. Check out the new and improved Rare Books page on our site. Take some time to click around, and let us know what you think. It is our goal for this page to help you as you grow your book collection. If there are resources that we’re missing or that you’d like to see featured, drop us a line. We’re constantly improving and streamlining our process to best serve you. 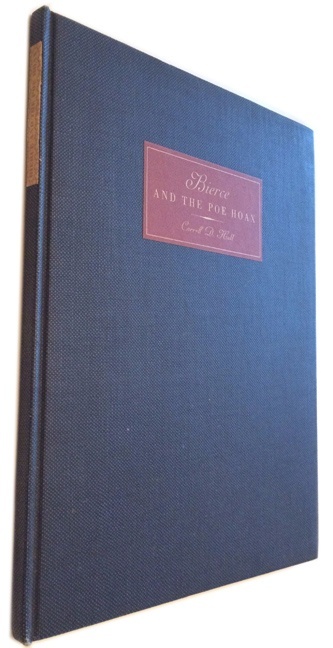 A nearly fine first edition/first printing, one of 226 total copies. Some Poems includes “Love among the Ruins”, “A Tocatta of Galuppi’s”, “By the Fireside”, among others. Original green and pink floral paper boards. Corners rubbed with slight darkening to cover. Endpapers browned. The frontispiece, printed in color, was designed and engraved on wood by Lucien Pissarro. The initial letters, printed in red, were designed by Lucien Pissarro and engraved by Esther Pissarro. Edgar Allen Poe collectors may be interested in this fascinating piece. In the 1890s, Herman Scheffauer wrote a poem, “The Sea of Serenity” in the style of Edgar Allan Poe. Ambrose Bierce, a notorious prankster, convinced Scheffauer to publish it in the guise of a long-lost Poe poem. This copy is number 133 of 250 published by the Book Club of California in 1934. Printed at the Windsor Press on lovely mould-made paper with watermarks. Navy cloth binding with paper label on spine and front panel. Illustrations and facsimiles. Introduction by Carey McWilliams. 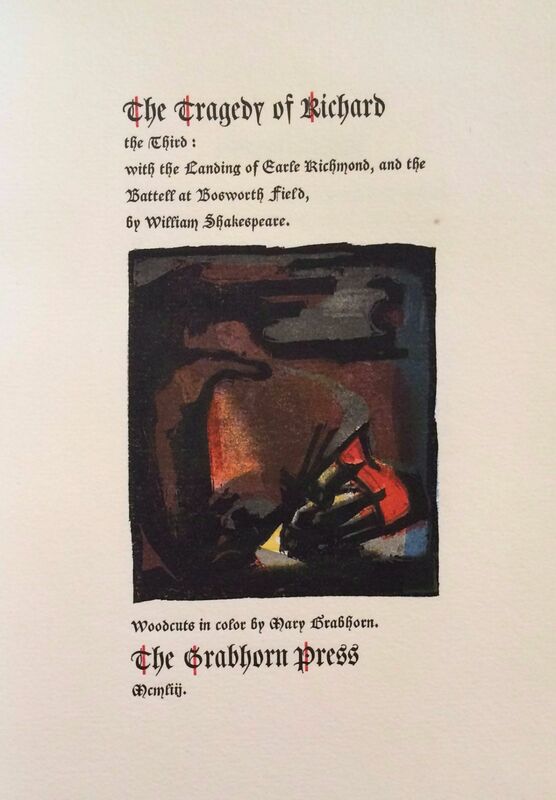 Published by the Grabhorn Press in 1953, Shakespeare’s text is from the 1623 Folio with some updates and corrections, including the full spelling of characters' names. This is one of 180 copies, bound in full limp vellum with ties. The prospectus, featuring a red woodblock illustration, is included. The color woodblock illustrations were designed and produced by Mary Grabhorn. The handmade paper is from the Tuckenay Mill of Arthur Millbourn and Company. The type is an old French Lettre Batarde and cast at the Peignot Foundry. This volume is near fine. For a complete list of our new arrivals, click here. Stay tuned for more exciting updates from Books Tell You Why! Or, leave us a comment below. We love to hear from you.